Sure looks like a fabulous flea market find, doesn’t it? 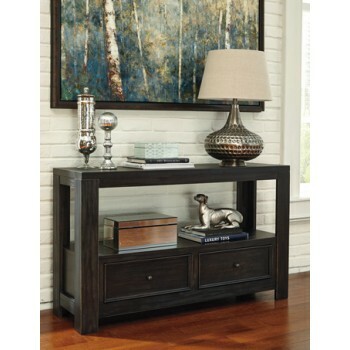 This sofa table only looks “weathered” in appearance, care of a dry vintage finish with rubbed-through distressed marks. Two smooth-glide drawers built into the base are doubly practical.